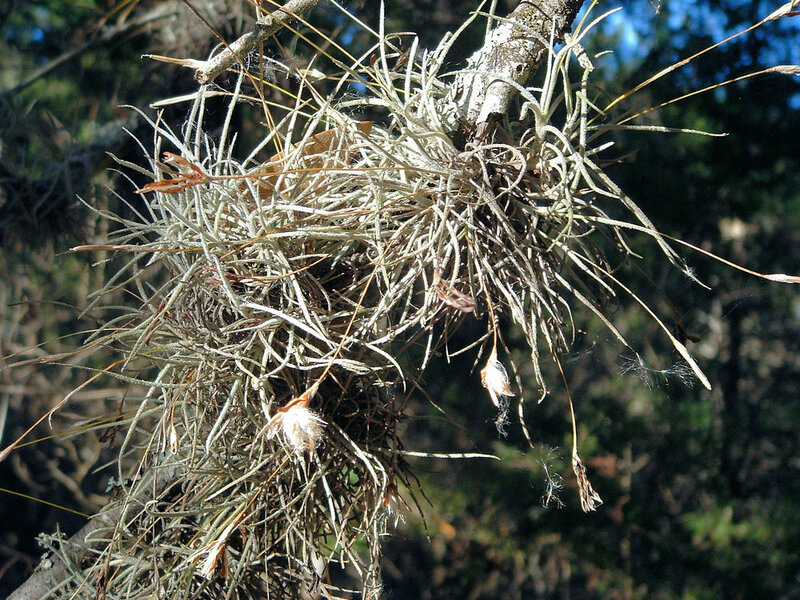 As epiphytes go, Tillandsia recuvata (a.k.a. ball moss) doesn’t have the best reputation. All too often it is seen as an unsightly pest of trees that needs to be removed. This could not be farther from the truth. This hardy air plant does no harm to the trees on which it grows. What’s more, its relationship with a specific group of bacteria means it is a major contributor to soil fertility. Today I would like to sing the praise of the indefatigable Tillandsia recuvata. Tillandsia recuvata is native throughout an impressive chunk of the Americas, from the southern United States through to northern Argentina and Chile. Wherever temperatures rarely dip below freezing, T. recurvata can make an easy living. One of the most remarkable aspects of this species is the array of habitat types in which it grows. This hardy little air plant is equally at home in sub-tropical conditions as it is arid desert habitats. Its ability to tolerate heat, drought, and plenty of air pollution has led to its colonization of urban environments as well. One of the keys to its success is the way in which T. recuvata handles photosynthesis. As is typical of the bromeliad family (Bromeliaceae), T. recuvata utilizes CAM photosynthesis. Instead of opening its stomata during the day, when high temperatures and baking sun would lead to unsustainable rates of water loss, T. recurvata opens its stomata at night, taking in CO2 while temperatures are more favorable. It then stores this CO2 as an organic acid that it can use later on the next day when the sun comes up. In doing so, T. recurvata can keep its stomata closed and save on water while still being able to synthesize the carbohydrates it needs. I think one of the main reasons T. recurvata doesn’t get the respect that many of its cousins receive is that it doesn’t put on a spectacular floral show when in bloom. Tiny purple to lavender petals just barely emerge from between bracts located a the tips of long flowers stalks. The flowers don’t last long and are quickly replaced by long, brown seed capsules. These capsules eventually burst open, releasing plenty of tiny seeds, each adorned with wispy filaments that help them take advantage of the slightest breeze. Though the seeds themselves are small and don’t show many adaptations for adhering to suitable substrates, I have found that those silky filaments tend to get matted up and stuck on whatever surface they land on. In this way, seeds at least have a chance to germinate on everything from twigs to power lines, and even other Tillandsias. The reason this species earned the specific epithet ‘recurvata’ and the common name ‘ball moss’ has to do with both its growth habit and its propensity to grow on others of its own kind. Each leaf curls backward as it grows, giving individual plants a spherical shape. As more and more seedlings germinate on and around one another, these colonies can take on a massive, ball-like appearance. This has led many to classify this species as a parasite, however, this is not the case at all. It is wrongly assumed that these plants weaken the trees on which they grow and this is simply not the case. Like many other epiphytes, T. recurvata likes a lot of sunlight. As such, plants tend to do better a the tops of trees or near the tips of branches. Certainly this can cause some degree of shading for the trees on which they grow, but this is insignificant considering how much a tree’s own branches and leaves shade those further down on the trunk. Also, T. recurvata are quick to move in on branches that have lost foliage or are already dead. This can often appear are is the plants have taken over the tree, causing it to die back. In reality, T. recurvata colonies are a merely a symptom of a tree already stressed by other factors. As the canopy starts to thin, more air plants are able to find suitable habitat for germination and growth. Trees covered in T. recurvata were already weak or dying, not the other way around. In fact, evidence is showing that T. recurvata are actually an important source of nitrogen for the surrounding environment. Within their tissues, T. recurvata house specialized bacteria in the genus Pseudomonas, which are capable of fixing nitrogen directly from the atmosphere. In return for a place to live, these bacteria provide their air plant host with a nitrogen boost that would otherwise be unavailable. When T. recurvata detach from whatever they are growing on (something they frequently do in droves), they fall to the ground, rot, and enrich the soil with a shot of nitrogen. As such, these wonderful epiphytes are actually a boost to the growth of not only their hosts but many other plant species as well. Probably the most incredible feat of this species has been its conquest of the human environment. 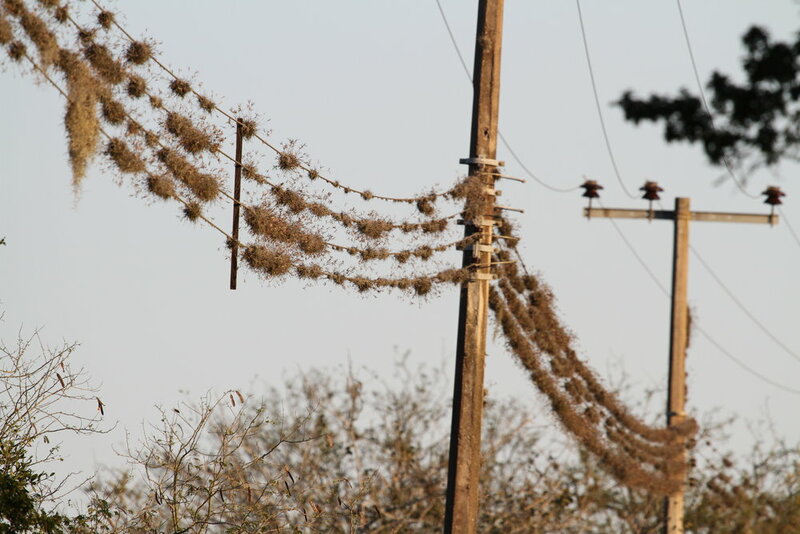 Throughout its range you can find T. recurvata thriving on man-made structures like power lines. For a species that gets all of its needs from the atmosphere, it is amazing how well T. recurvata is able to handle air pollution. Because it is so darn hardy, this air plant has caught the attention of more than one researcher. In fact, some are even looking at T. recurvata as a unique candidate for green roof construction in warmer climates. 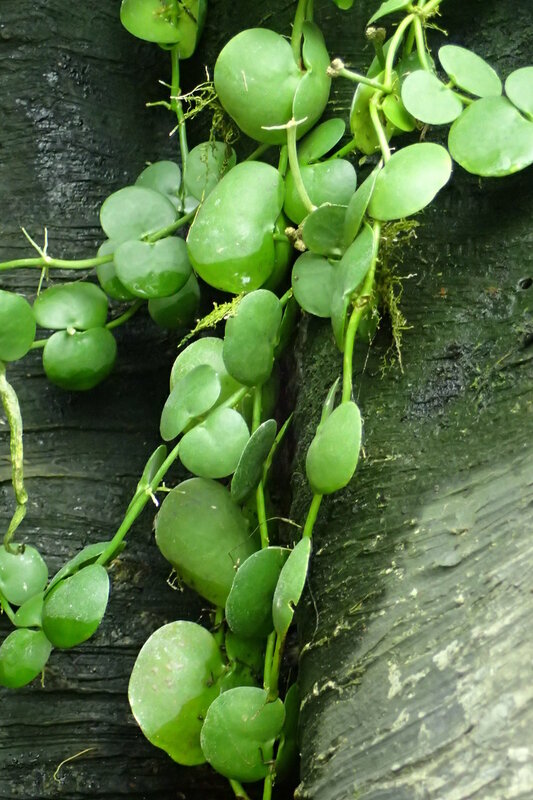 All in all, this is one of the hardiest plants you are going to encounter in the Americas. One should look on at T. recurvata colonies with respect and admiration, not disgust and disdain. We fight species like this for all of the wrong reasons when in reality, we should be embracing them as both survivors and important components of ecosystem health. I hope this post has been able to do away with at least some of the misconceptions about this species. Three cheers for Tillandsia recurvata!